A group of people has gathered in front of a log cabin in the woods. An axe is buried in a stump to the right of the group. Devin Colman writes on 2014-04-02: This appears to be the Hubbard Cabin at the Middlebury College Snow Bowl in Hancock. 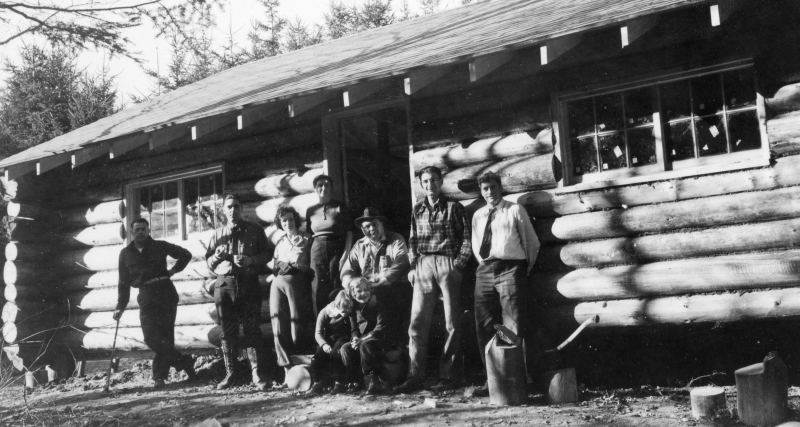 The cabin was built in 1938 by the CCC and is the believed to be the oldest standing base lodge in the nation.